I admit it: I'm a house museum junkie. (I'm guessing you are, too.) Visiting the homes of the individuals I'm researching never fails to give me a frisson of pleasure at the thought that I'm walking where they walked (more or less) and seeing what they saw (more or less). They often provide intimate insights into past lives that are impossible to gain any other way. In the words of the biographer Richard Holmes, writing in Footsteps: Adventures of a Romantic Biographer (1985), such places provide an essential reversal of perspective: instead of looking in from the outside, you are quite literally looking outward from within a life...it allows the historian to recapture time by "turning the viewpoint inside out, if only for a moment." For more on the various delights of house museums, see this article by Tony Perrottet at Smithsonian.com. The two house museums below -- the first an artist's spectacular palazzo in the middle of bustling London and the second a modest family home in a tiny Scottish village -- are not to be missed. 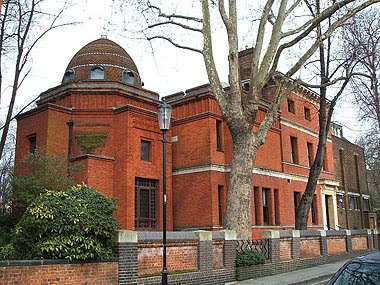 Even before its recent £1.6 million ($2.4 million) restoration was completed, Leighton House, the Holland Park home of the painter Frederic, Lord Leighton (1830-1896), was a magical place to visit. Designed by George Aitchison and built in several stages between 1865 and 1895, the house included private living quarters, an expansive working studio, and glamorous reception rooms that became the hub of Victorian artistic life in the last three decades of the nineteenth century. Its centerpiece is the gorgeous Arab Hall, built to accommodate Leighton's priceless collection of Islamic tiles. The meticulous restoration, undertaken by the Royal Borough of Kensington and Chelsea, which owns the house, involved extensive repairs to the original fabric of the building as well as the redecoration of the main rooms. There's no substitute for visiting this stunning temple of art in person but you can enjoy several of its glories -- including the Arab Hall, Narcissus Hall, and Leighton's studio -- by way of a cleverly designed interactive online tour. Read more: The Guardian (26 May 2010); The Guardian (17 April 2010); The Telegraph (5 April 2010). 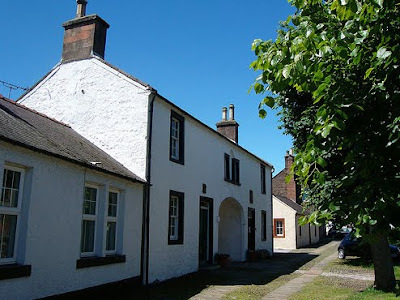 The Arched House in Ecclefechan, Scotland, in which the writer and historian Thomas Carlyle was born on 4 December 1795, reopened its doors to the public earlier this month. “Thomas Carlyle is one of Scotland’s greatest men and his birthplace provides an insight into the times he inhabited as well as his life," says Richard Clarkson of the National Trust for Scotland, which manages the house. Do you have a favorite house museum? Please share in the comments. Fascinating house, and the setting!